Are Trump's WTO Withdrawal Threats Nothing But Bluster? This week in the Trump administration’s war on trade: proposals that could withdraw the United States from World Trade Organization (WTO), a decision that essentially drops the nuke on global trade relations. According to a White House source from Axios, the president has ordered public officials in Congress to draft a bill known as the “United States Fair and Reciprocal Tariff Act” (FART), which would give the US the liberty to walk away from the multilateral institution if they don’t change their ways. So what does the president have against the WTO? And is this a trade fight that’s unwarranted? Since its establishment in 1995, taking over for the General Agreement on Tariffs and Trade (GATT) after World War II, the WTO is an international agency comprised of around 162 member countries who use the neutral platform as a way to conduct trade negotiations and enforce rules and agreements between them. Think of it as being an imperfect watchdog for whether countries maintain their end of the trade bargains they make, giving countries someone to act as their ledger besides the self-interested, biased nation-states themselves. Good luck being a third-world country and asking military superpowers in China, Russia, and the U.S. to maintain trade fairness when, if left unrestricted, could bully countries out of anything from their lunch money to their natural resources. 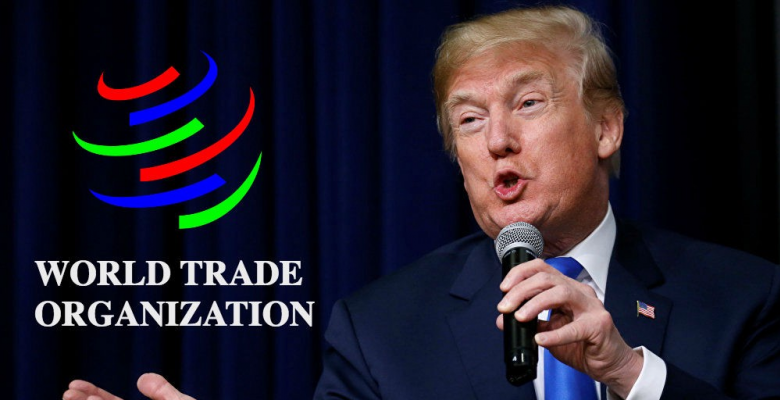 Decisions to ignore WTO rulings could, in effect, present the U.S. as a rogue state on the world stage, further than their rampant military interventionism has shown thus far. At best, it would grant the United States unfair power advantages against smaller disenfranchised countries, echoing the deceptive practices of China, such as currency manipulation, which go unchallenged by those with less money and power. It’s doubtful U.S. trading partners would defy their classically imperialist empire. They will just have to pray some Trump branded altruism comes their way. At worst, Trump could take the world back to the days of head-to-head trade where superpower governments fought through protectionism, seen in Trump’s recent Chinese steel and aluminum tariffs, with their populace needlessly suffering the pressure until agreements are struck. These types of trade wars, however, are rare and happen on smaller scales. Like any game of chicken or Russian roulette, someone usually bucks before the danger kicks in. It’s just a matter of whether you’d bear the risk of such a game, a game that has economists and financial institutions scared for America’s chances. It doesn’t make sense. Unless it’s a display of power politics. Weakening the WTO is a United States norm, after all. Consider that the administration is currently vetoing all judicial appointments to the WTO’s appeals chamber, corrupting how the WTO can do their job in processing disputes. And let’s not neglect the actions under former President Barack Obama, the Democratic leader who bought off Brazilian cotton growers with payments amounting to $750 million instead of dealing with the WTO. It’s not unlike the U.S. to talk, bribe and bluster their way out of disputes. Could it be that President Trump, through this improvised bravado, is just signaling America as top dog? The status quo approach we know as “American exceptionalism”? Assuming such an inflated ego doesn’t poke others into challenging this protectionist bluff, of course, such leverage could be beneficial to U.S. interests. It could bump that 85 percent higher than it stands, whether it’s through official disputes or through under-the-table slights that stop the complaints coming in the first place. Trump does present himself as a dangerous character, through rhetoric and actions galore. But if he wants to remain top dog of international trade, the president best know when to bark, when to bite, and when to walk away – otherwise the entirety of global trade could find itself on the losing end of the deal.